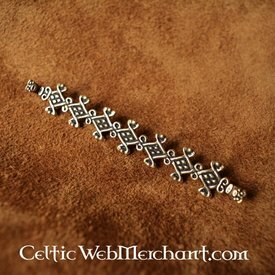 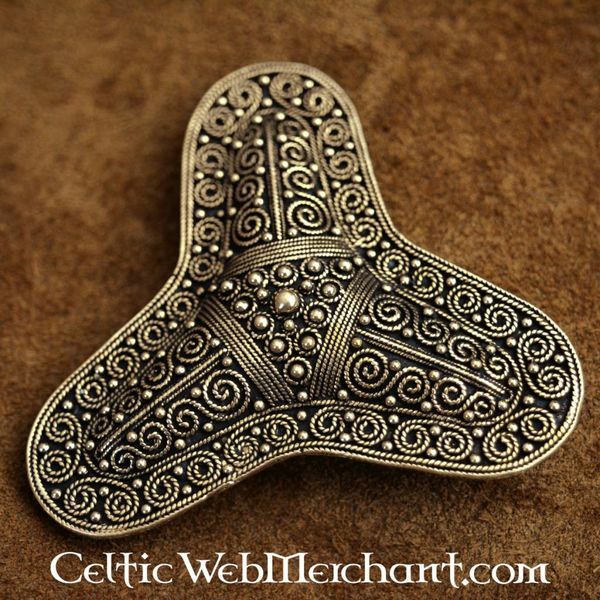 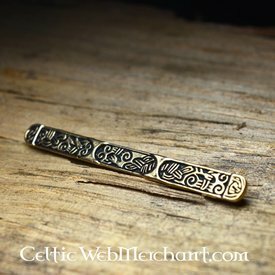 This brooch is a replica of a 10th century original excavated in the Viking treasure of Stora Ryk, Sweden. 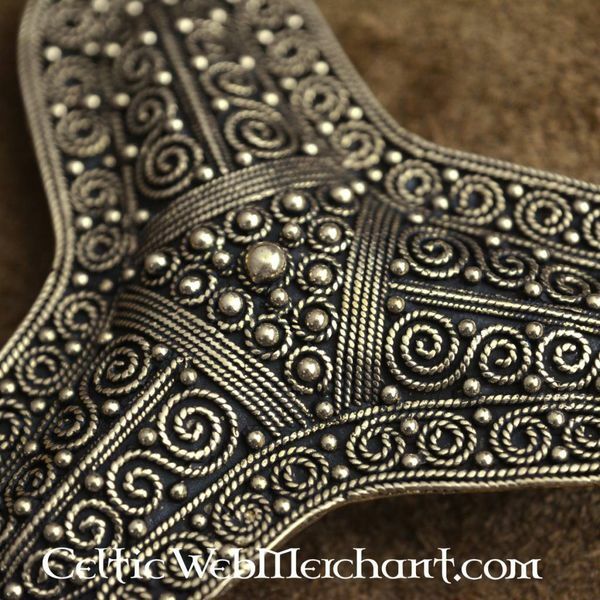 Brooches like were originally not brooches, but Frankish sword and shield decorations. 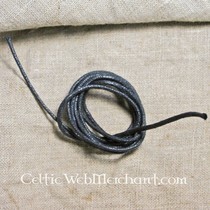 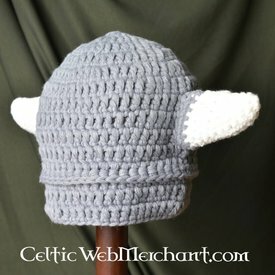 Only since the 9th century the Vikings used these decorations as brooches. 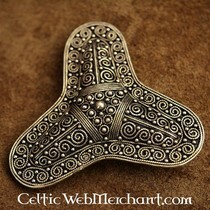 This brooch is made of brass. 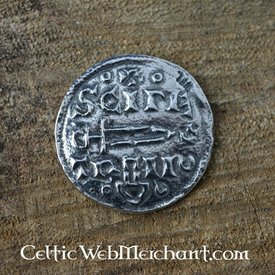 It measures 7 x 7 cm.